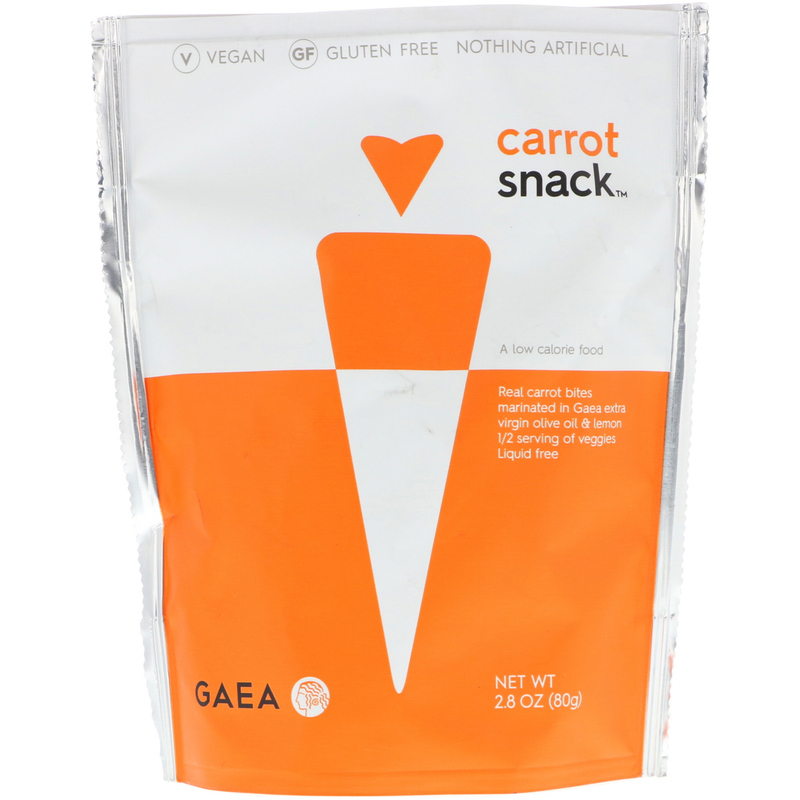 Real carrot bites marinated in Gaea extra virgin olive oil & lemon 1/2 serving of veggies. 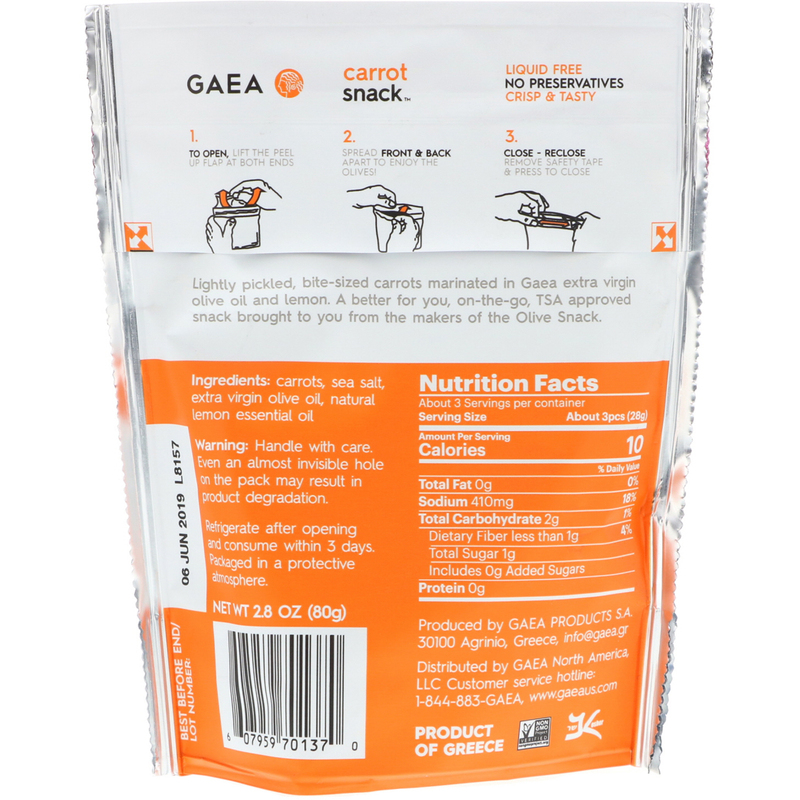 Lightly pickled, bite-sized carrots marinated in Gaea extra virgin olive oil and lemon. A better for you, on-the-go, TSA approved snack brought to you from the makers of the Olive snack. Carrots, sea salt, extra virgin olive oil, natural lemon essential oil.